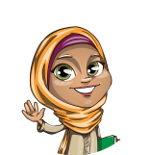 What does Ramla (Muslim Arabic Name) mean? The name Ramla (Arabic writing : راملا) is a Muslim girls Names. The meaning of name Ramla is " Sand. Wife of the Prophet Muhammad PBUH. " Rameethah رميثة Name of a Sahabiyyah (RA). Ramiza رمزا Intelligent, level headed. Ramla راملا Sand. Wife of the Prophet Muhammad PBUH.